The Diploma in Laboratory Technology qualification carries much weight as a certificate issued by an incorporated professional body. Further, recognition is given to the Diploma in Laboratory Technology Certificate by some public sector and private sector organizations who pay the fees of their employees and also give increments and other credit for those employees who successfully complete the course. 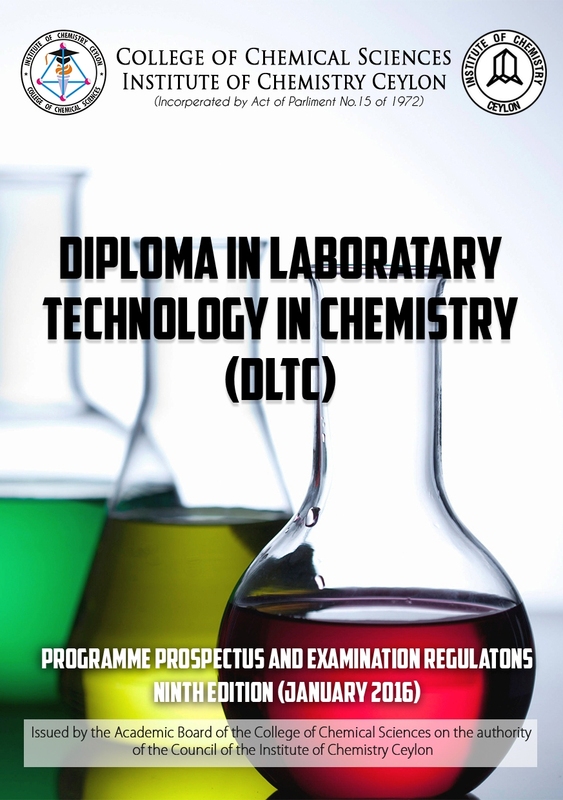 The Institute of Chemistry Ceylon gives credit for the Higher Diploma in Laboratory Technology Certificate by incorporating into their regulations the following benefits. Furthermore, those students who have Honours passes at the overall DLT Examination are entitled to a scholarship to follow the Graduateship Programme in Chemistry. The Scholarship incorporates a waving of the tuition fees of the first two years (Levels 1 & 2) of the Graduateship Programme in Chemistry. Those who complete the DLT programme are required to become TECHNICIAN members of the Institute for life. They are entitled to use the designation Tech.I.Chem.C. after their names.